Do you have your natural hair color? Chances are, most of us don’t even remember our natural hair color due to dying it so often! However, our eyebrows are always there to give us a gentle reminder! Eyebrows are noticed more now than ever before, so what’s the fix? 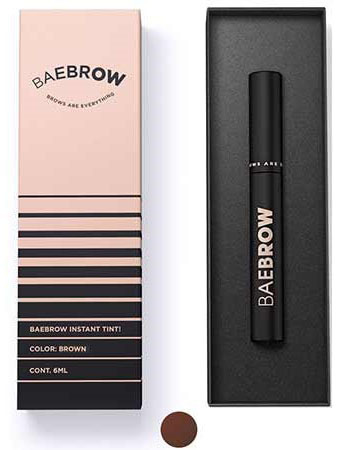 One of the best eyebrow tint kits, of course! We have them all right here, and there are sure to be at least a couple that are just right for you! Let’s get started! Now that you’ve had the chance to take a quick overview of each of the best eyebrow tint kits, you’re probably interested in learning more about some of them! Keep on scrolling down, for in-depth, unbiased reviews! 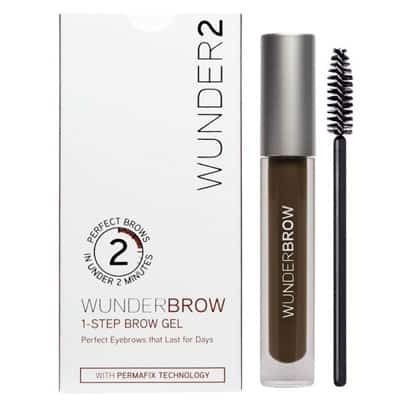 If you know anything about the Wunder2 Wunderbrow, you know that it’s easily one of the best eyebrow tint kits on the market, today. If you’re looking for full brows without the hassle of having to touch them up all the time, or even reapply them every day, then this is a great alternative to having your brows tattooed! You could also go with microblading, but then you have to worry about mistakes as they do last a long time, and they are more expensive. 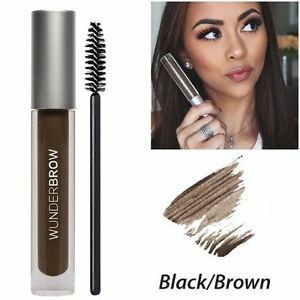 Wunderbrow Eyebrow Gel is a waterproof, budge-proof, and even t4ransfer-proof gel that is super easy to use, and is a much better option than the previous methods, in our opinion. First off, you need to decide which color you need. The brow kit comes in: Black/Brown, Brunette, Auburn, and Blonde. We found that the Black/Brown and Brunette were more cool colors, while the other two have a more warm, reddish undertone, so also keep that in mind before making your selection. In addition to the gel itself, it also comes with a brush applicator and a little spoolie. The applicator, well…applicates, and the spoolie is there so you can help evenly spread the gel, giving a softer, more natural look once you’ve already had it applied. Also keep in mind that it’s not solely a gel. It’s actually a gel that also features hair fibers kind of mixed into the product. It all sounds a bit messy when you read about it, but the product itself is actually very well thought-out, to our relief. So, how easy does it go on? Very easy. However, it’s also super easy to overdo it, so it’s best to start off with just a bit of product on the applicator, and go from there. If you already have pretty full brows but just need them to look darker, you can easily just use this as a gel to hold the brows in-place, rather than use the product as a means of filling sparse brows in. You’ll definitely want to make sure that no matter what you’re going to be using the gel for, that you use the spoolie brush before it dries, to even it out and make it look more natural. Once you’re happy with your application, let it sit for 30 seconds to allow it to properly dry. After that, you’re all set. If you want to go work out, dance in the rain, or just go about your day-to-day, you don’t have to worry about retouching your brows, or wonder if they’re coming off. For the first two days, it’ll pretty much look how it did when you first applied it, however, after that, you may start to notice some fading and/or some tiny spots where the color is disappearing. So, what if you need to take Wunderbrow off? Don’t worry! You can simply purchase a tube of the Wundercleanse Eyebrow Gel Remover which makes it very simple, or you can scrub makeup remover over the area for a few minutes. We recommend the former, but either way works. 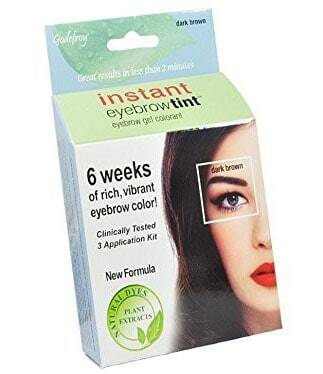 If you’re in search of a permanent eyebrow tint kit, then there are only a couple on the market today to choose from, and the Godefroy Instant Kit is one of the best. We understand how frustrating and time-consuming it can be to have to fill in or darken your eyebrows all the time! Sometimes we’re in a hurry and the last thing we want to spend time on is our one eyebrow that won’t seem to darken correctly! Another issue for many, is that they have grey brow hairs or very light blonde hairs. 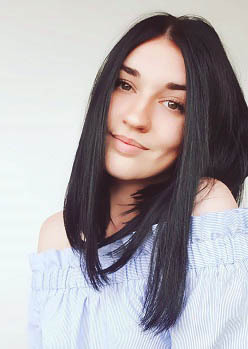 This can be an issue if you have colored your hair darker, and want them to match, as lighter hairs are obviously much more difficult to darken. The Godefrey eyebrow tint covers them 100%, so you can have matching brows every day without having to worry about doing them! 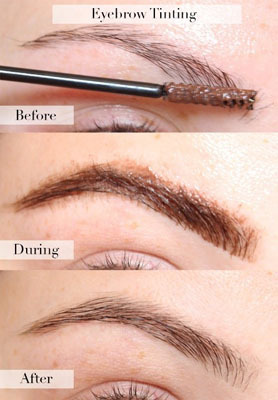 Wake up and walk out of the house with perfect brows! The application is relatively easy. Make sure to apply Vaseline on the surrounding skin, and it comes with cream colorants and gel activators. If you’d like it darker, simply leave it on a longer amount of time. However, keep in mind that this is going to bit more time-consuming than many other brow tint kits. So, just how long does it last? 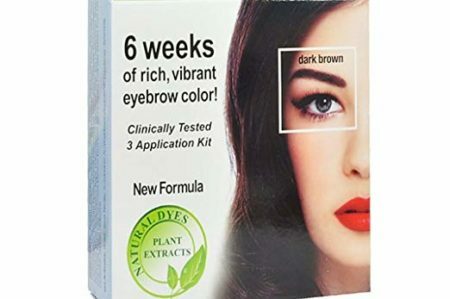 The color from the Godefroy Instant Eyebrow Tint Kit can last up to four weeks, which is quite a bit of convenience for a relatively small price. The non-toxic formula contains no hydrogen peroxide or synthetic dyes, making it safe for use around the eyes and sensitive skin. In fact, it can even be used for coloring facial hair! If you’re someone who keeps up with Instagram trends, then you’ve probably already heard of Baebrow Instant Tint. If you want your brow game to be strong, then you may have to tint them. Guessing based off of the fact that you’re here reading this, we’re going to say that’s probably the case! Sure, you could fill them in with eyeshadow or an array of different pencils and pomades, but many people don’t have the time or would prefer not to spend their time doing that on a daily basis. As we are currently a culture obsessed with eyebrows, this is pretty important for many women! The truth is, that tinting brows can be pretty messy. This kit isn’t as messy, and doesn’t require all kinds of mixing and whatnot. Rather, this is a pre-mixed tint formula where all you have to do is brush it on (after applying Vaseline to the surrounding areas, of course). After you’ve waited the required 10 minutes, literally all you have to do is wipe it off. You’ll instantly notice a difference; brows immediately appear darker and fuller, without you having to spend a lot of time or money to accomplish it! So, how long does each application last? In our experience, they started fading around the 2-3 week mark, so ideally, you’ll want to re-do the process every couple weeks. Of course, this varies per person. Keep in mind, that each tube holds around 20 applications worth of product, so you have pretty much an entire year’s worth without having to spend any more money! We also loved the fact that it’s cruelty-free and vegan, making it safe and actually an option for many more people out there. What shades does it come in? Currently, only black, brown, and graphite. Graphite is more recommended for blondes or just a light tint for other hair colors. So, was there anything we didn’t like? Actually, yes! It took us a couple of applications the first time to get all of the brows one color. It seemed to not hold on as well as the other products on our list, but the second time made a huge difference. Not every eyebrow tint is for everyone, which is why it’s great to have options. If you’re finding that you want a tint kit that is going to last you for longer than just a couple of weeks, then we present to you the Eylure Pro Brow Dye Kit! It comes with the color itself, the activator, and a little white stir stick, along with a spoolie which you’ll later need to spread out the color and make it look more natural and even. All you need to do is apply the color to where you want it, then simply use the spoolie to comb the color through your brows. After that, you may find that you need to clean up the lines a bit. Simply use a cotton swab for precision, and you’ll be good to go. 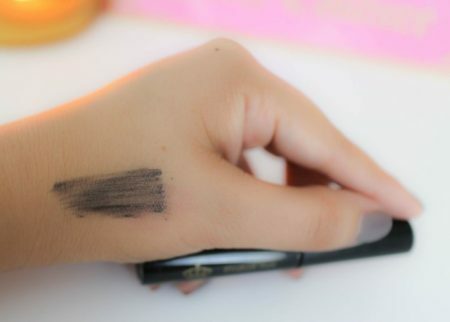 It’s recommended to leave it on for less than 10 minutes, but it all depends on how dark you want your brows to go. We tried 7 minutes and that was good enough that it made our brows dark without staining the skin. What we really liked about the Eylure kit is that just using it once, you get an even, rich color all over the brows, rather than having to go back and touch up any areas where the color didn’t hold on as well. You’ll notice that right away, the brows look much thicker/fuller! The only thing we didn’t like? That it was pretty expensive for a single use package. While it’s no-doubt very high-quality, it still is a bit expensive if you’re going to touch up every 6 weeks. 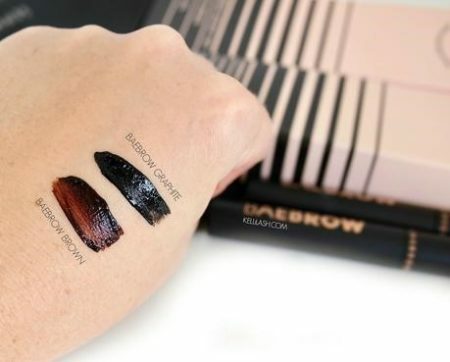 If you’re still a beginner or are just a bit hesitant of using more “permanent” brow tint kits, then the Elizabeth Mott Queen of the Fill Tinted Eyebrow Gel could be the perfect solution for your eyebrow needs! It’s also an excellent budget product if you’re looking for a new brow product without splurging. The packaging is a full-size tube which does come with quite a bit of product, that should last you for months on end. The brush is very small and tapered, which is very easy to use, even for beginners. It will come with a ton of product on the end, so it’s important to get rid of the excess before each use. The brush itself is easy to use, however, we probably would have preferred a spoolie brush like most other tint kits come with. They just work to spread the product out and kind of “groom” better in terms of shaping and whatnot. This one doesn’t allow a ton of control, however, it does allow the product to be applied quickly and smoothly. We did also like that it comes with five different shades, which is the most we’ve seen so far: Blonde, Medium Brown, Dark Brown, Auburn, and Black. The black we actually noticed was a bit ashy, so we went with dark brown, which worked very well. 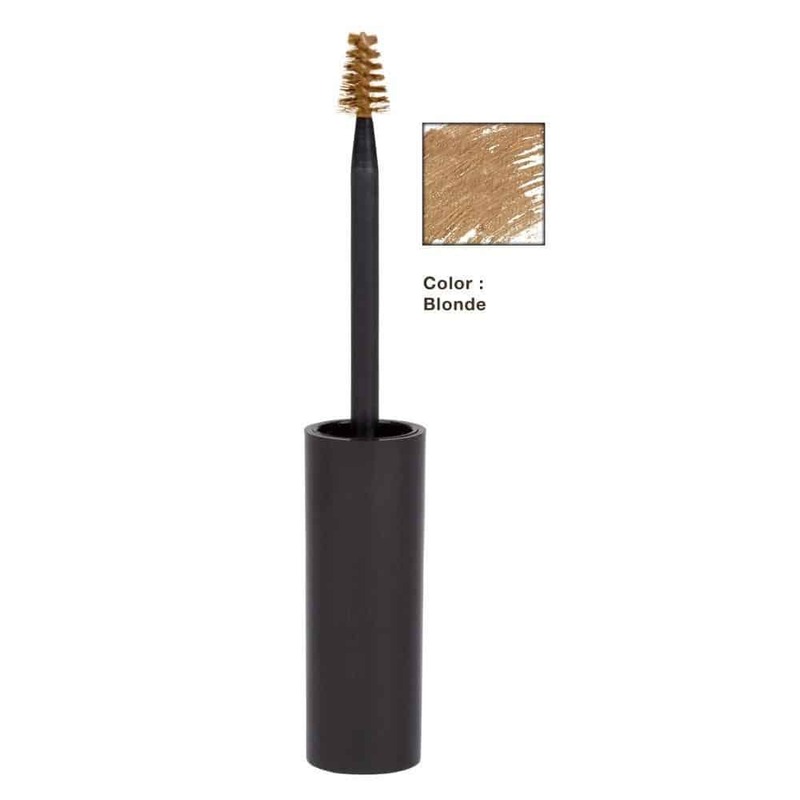 It will last all day long, with the tint and with it keeping brows in place. This is great if you only need to tint your brows for special occasions, or aren’t looking for a more permanent product. Now that you’ve had a readthrough of each of the best eyebrow tint kits, which one have you decided on? If you’re still having trouble picking the perfect one for you and your needs, allow us to recommend once again, the Wunder2 Wunderbrow. 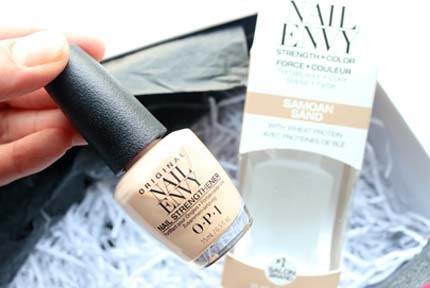 It is super easy to apply, it is long-lasting, and it provides even, rich color that is actually natural-looking. You can go days without having to retouch your brows, and all of that convenience is available to you at a pretty inexpensive price! If you are looking for something more permanent than just a couple of days, then the Godefroy Instant Tint Kit is also an excellent choice. It comes with a ton of product, and you only have to retouch every couple of weeks, so it’s a very convenient option if you’re short on time to get ready in the mornings. So, which one of these best eyebrow tint kits will be making their way into your beauty arsenal?